State and federal nursing home regulatory agencies have strict guidelines that must be followed by the nursing staff to eliminate the potential spread of infection. These procedures and protocols include providing quality care to residents with indwelling urinary catheters and blood glucose testing where different residents share equipment. Unfortunately, not every facility follows established policies when providing standards of care, which can be detrimental to the patient health. Rosenfeld Injury Lawyers LLC provide legal representation to mistreated residents of Illinois skilled nursing homes like Flora Gardens Care Center who have suffered needlessly from preventable infections. 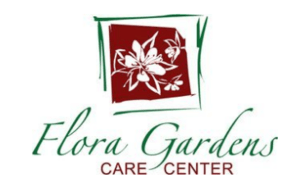 As a part of the Peterson Health Care System, Flora Gardens Care Center provides Alzheimer’s care, memory care, skilled nursing care and the Peterson Pathways Rehabilitation Program. The Federal government and Illinois nursing home regulatory agencies routinely update the nursing home database system containing the complete list of every safety concern, health violation, filed complaint and opened investigation. This information can be found on numerous websites including Medicare.gov. In a summary statement of deficiencies dated 01/28/2016, a notation was made during an annual licensure and certification survey by a state investigator concerning the facility's failure to "follow their Catheter Care Policy regarding catheter cleaning and prevention of infections." The following day at 10:05 AM, two Certified Nursing Assistants (CNAs) providing catheter care to the resident. The CNAs “donned gloves, positioned the resident and [a CNA] opened the cleansing wipe and cleansed [the resident’s] catheter tubing from the urinary meatus outward and repeated cleansing and the tubing with the same cleansing wipe, cross contaminating the catheter tubing." In a summary statement of deficiencies dated 01/20/2016, the state investigator noted the facility’s failure “to follow appropriate infection control practices for resident care equipment, medications, and linens." 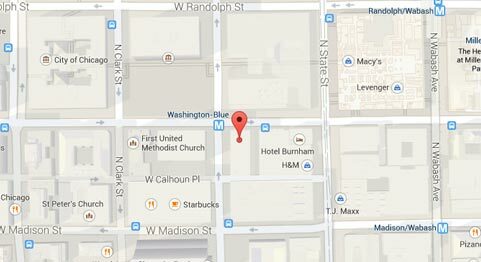 In a separate incident, two Certified Nursing Assistants were observed on the morning of 01/26/2016 providing catheter care to a resident. After a CNA “performed the catheter care, she dropped the blood tinged washcloth on the floor, picked the washcloth up off the floor and placed it on [the resident’s] bedside table. The staff failed to clean her disinfect the bedside table after removing the blood contaminated washcloth. If you suspect your loved one is being abused while residing at Flora Gardens Care Center, call the Rosenfeld Injury Lawyers LLC law offices now. Our reputable Flora skilled attorneys can provide legal assistance to your family to successfully resolve your financial recompense claim against all those who caused your loved one’s harm. We encourage you to contact our Clay County elder abuse law office today by calling (888) 424-5757 to schedule your appointment for an initial case review at no charge to you. Additionally, there is no need to make an upfront payment because we accept all nursing home claims for compensation on contingency.